Gopalpur beach lying at the southern state of Orissa, Ganjam was once a commercial center. It has seen many commercial sea-transportation from Burma. As it has lost all that glory of the past still it enjoys the tag of port town. This tiny town is home to a beautiful and smaller beach. The beach has naturally bestowed with pristine water and clear sand. This is a paradise for nature lovers. The serene ambience of this beach attracts many tourists throughout the year. Being situated only 16km away from the city of Berhampur it remains crowded most of the time. Many of the revival works like power lines revival has been made on this pristine beach. This further attracts the local population in the evening. People from all around the town and nearest region come here to visit this peaceful beach. The coconut groves, casuarinas trees and the ruins of ports, warehouses and light house are some of the major attractions that tourists love to visit. The combination of nature and manmade objects make the place a unique retreat for leisure. This beach is a picturesque place to enjoy the nature as well as the pre-independent infrastructures. One can visit the coconut groves and sit there for few hours without getting bored. The surrounding filled with calmness provokes one to hide one from the hustle-bustle of life. The retreat to nature gets successful with the peaceful coconut groves. The casuarinas tress also render similar peaceful ambience to sit and observe nature quietly. Even in day time the visit to this beach can be enjoyable as the shades of these trees make a great place to rest under. The other things to visit here is the ruins of ports and warehouses. These are the pre-independent infrastructures and talk about the past glory of this small fishing town. The growth of this small fishing village into a port town reminds of the successful trade of this port town. One can walk on the beach for a long time with the water touching the feet. The place is great for walking in the evening. 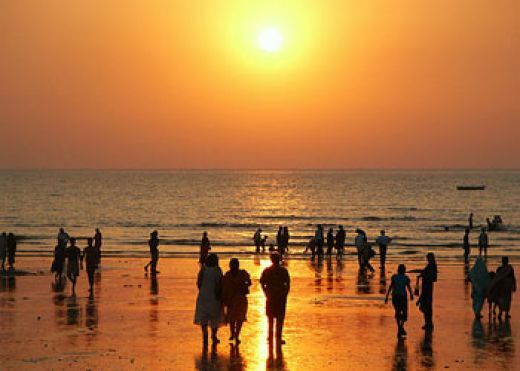 As the evening remains crowded with lot of local people coming to enjoy the sea, walking on the beach gives a peaceful experience to the tourists. The beach of Gopalpur is swimmers’ love. The low waves on the beach attract the tourists to take bath in the sea. This playful beach is home to lot of water activities like surfing and going boat trip. One can also move to the sea with the Nolias. These nolias are the fishermen who have a good deal of knowledge on waves and tide. Bathing with the assistance of these nolias are safe on this beach of Gopalpur. The boatmen on the beach with their boats arranged in a particular pattern also create a scene for the tourists. The tourists can silently sit on the beach and keep on watching the fishermen departing for the sea and returning from the sea. Gopalpur is also a place to enjoy seafood like crabs and prawns. Food lovers can enjoy the locally prepared sea-food here in the nearby locations. Another attraction on Gopalpur beach is its beach festival. 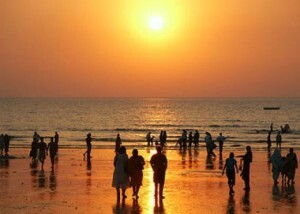 One can visit the festival and enjoy the beach during winter, particularly in the month of December. One will get every kind of accommodation in Gopalpur. Starting from the beach resort to small budget hotels, every kind of stay is entertained in Gopalpur.